My life has been blessed with some of the most beautiful friends from around the world. One of those friends is Jeety from India. The first time I tried Indian Rice Pulao was at a dinner gathering hosted by Jeety and her husband. At first glance, I assumed this dish was simply rice and peas tossed together, but to my surprise, it was so much more. 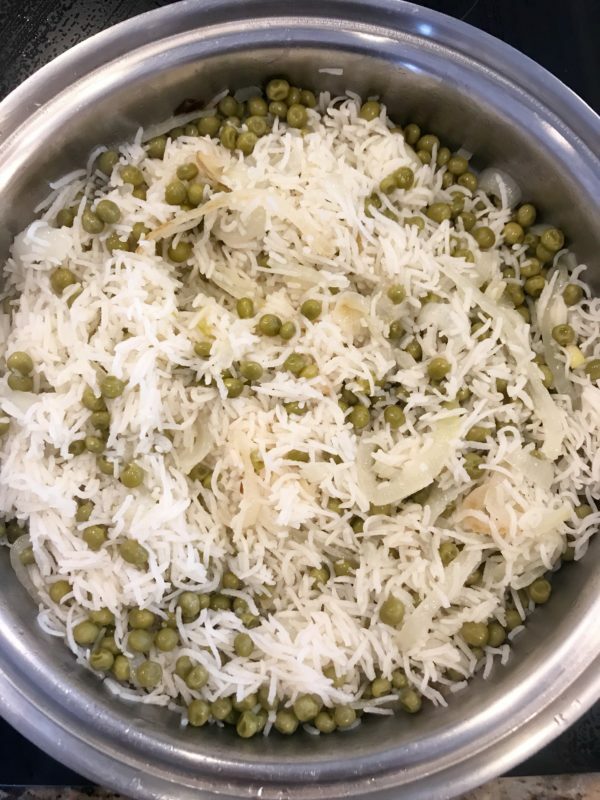 Many of us are familiar with a dish called Rice Pilaf which has a long history of existence throughout the Middle East and India. 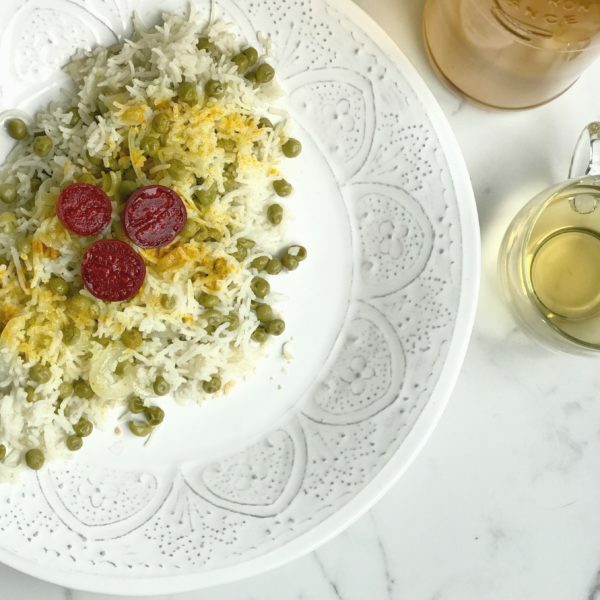 Pilaf is a dish that is found in most of the world’s cuisines but evolved into a variety of recipes unique to each country and region. 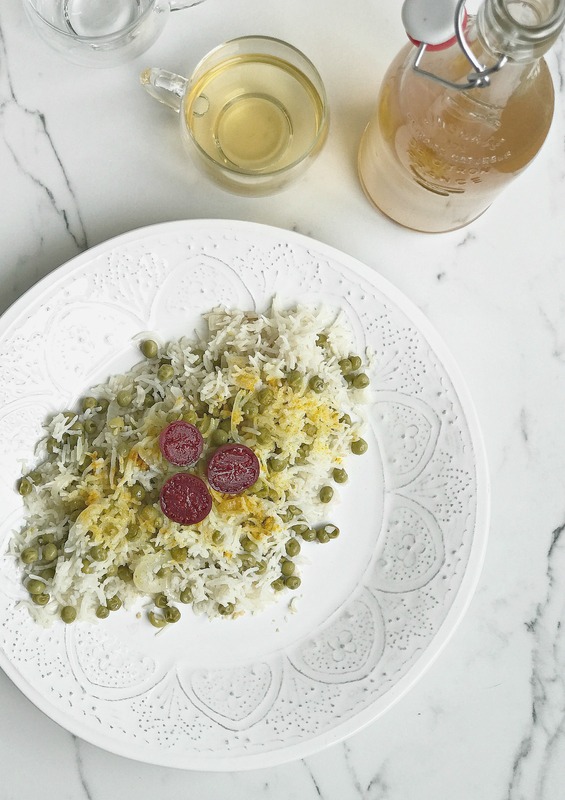 In India, rice pilaf is called pulao, and over the centuries each region has interpreted the recipe differently depending on the spices, herbs, vegetables and other ingredients readily available in those areas as well as the culinary influence from neighboring counties of Pakistan and Iran. The thing I like most about Jeety’s version is its simplicity. Many Indian pulao recipes incorporate cinnamon, cloves, Garam Masala, Turmeric, Coriander and other spices to create a distinct flavor. Although I love all of those spices, they can sometimes overpower the rice, making it the primary focus of the meal rather than a side dish that enhances your entree. 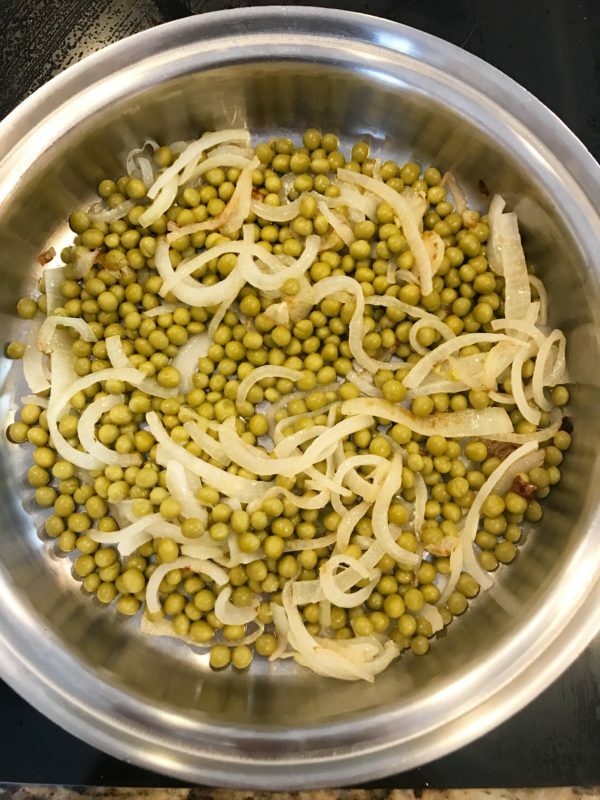 Jeety’s recipe is a pleasant detour from the usual Indian spices, especially for those who prefer more of a subtle flavor, yet it pairs perfectly as a delicious side with any meal. Rinse and soak rice in a small bowl for 10 minutes before cooking. Heat oil in skillet over medium heat. 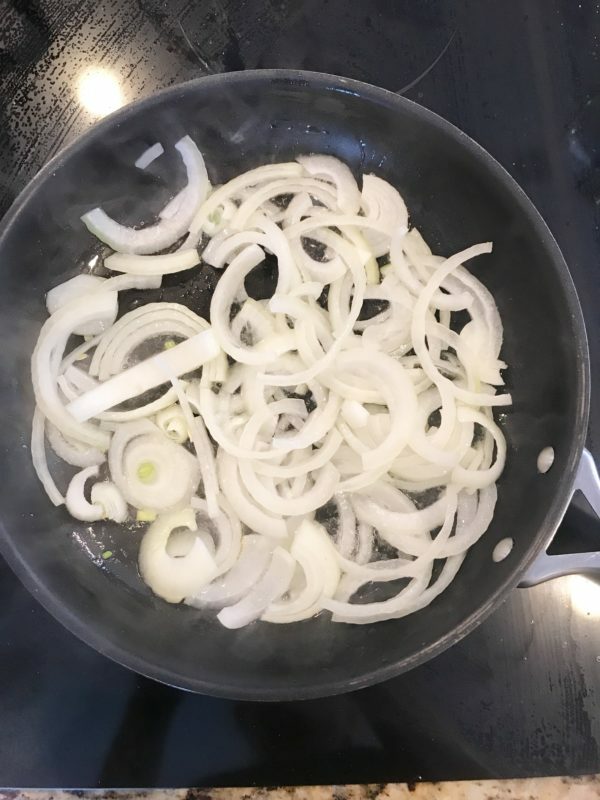 Sauté onions 3-5 minutes or until translucent. 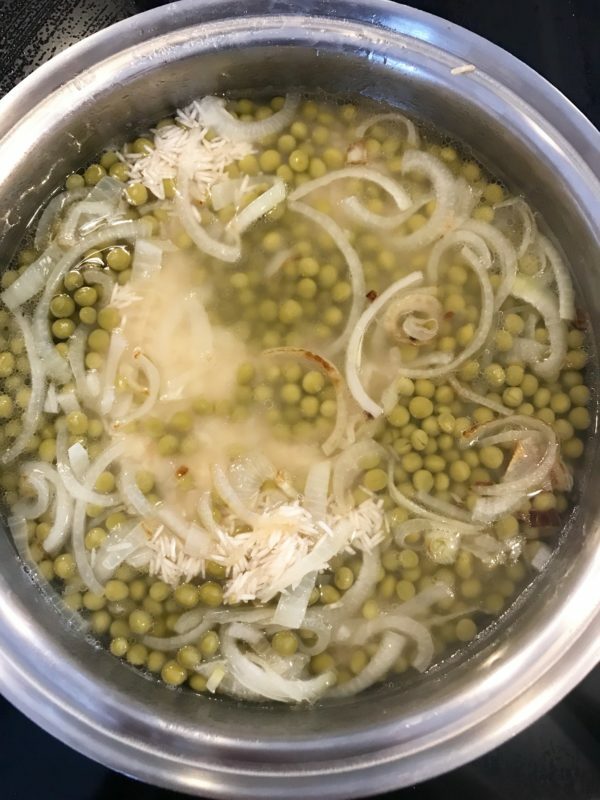 Add peas and sauté 5 minutes. Add salt, rice and water, increase heat to high and bring to a boil. Reduce heat to low, cover and let simmer 30 minutes or until rice is tender. Transfer to serving plate, sprinkle with turmeric and serve warm. Always rinse basmati rice 2-3 times before soaking to remove any debris.